This is entry #8 in a weekly summer series by “guest blogger” and FamZoo summer intern Haley Dwight. I especially like the suggestion to keep a spending log. I keep one for my clothing purchases so I can stay on track with my annual clothing budget and avoid impulse buys. 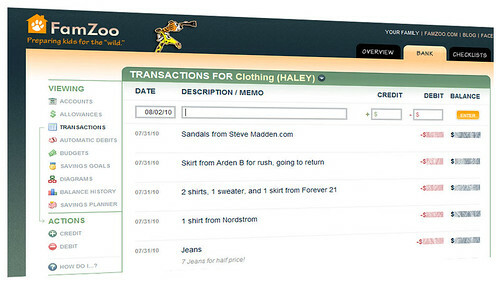 Of course, I keep my clothing spending log in a handy FamZoo virtual account! Thank you for stopping by to comment, Dan.